Salt and Sanctuary is now available on PlayStation®Vita! If you don’t already own it, you can buy it on the PlayStation store here. Update: The Europe version is now live, too! Unfortunately, last minute issues are causing the Europe version to be delayed. We are so sorry about this delay and working to get it available as soon as possible. I’ll update here and on our social medias once we know more. 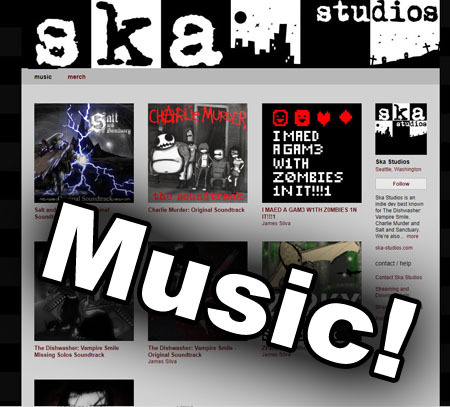 Follow us at @skastudios @shelldragon @jamezila. If you purchased Salt and Sanctuary on PS4 previously, you should be able to download the game on PSVita for free. However, we’ve been informed that this isn’t showing up for some people. Sony gave us a temporary workaround: re-downloading the game on your PS4 will cause the Vita version to unlock. Some people are also having luck queuing up the download from the PlayStation Store on the web. They’re working to get it sorted out so it just works, but the workaround at least means you won’t be buying the game twice. While we hope everyone will enjoy our Vita launch, there are some launch issues to be aware of that Sickhead Games and we are working on. The launch loading screen just takes too long! I’ll be adding to our known issues list here as I can! Thanks everyone and happy playing and again so many apologies for the delay and the cross-buy issue. For those who are unsure, the cross-buy promotion is through the PlayStation Network for PS4 and PSVita. Sorry for the confusion. I want to coop by multiple people. If PSVITA is impossible, I want you to release it with Nintendo switch. @Andrew Thank you. I couldn’t work out how I racked up 350hrs. The timer on my character has confused me since day one. FYI update still crashes in Hagars Cavern. Not sure about other areas yet. @Sigma Try pressing the refresh button at the top before you launch the game. One quick question: In the NA PS Store, the price for S&S on Vita is higher than on PS4 ($24 CAD vs $18 CAD, even though it’s cross-buy). When you look at sales stats, I just want you to know that though my purchase registers as PS4, I bought the game specifically to play on PS Vita. I have been anticipating this moment for a long while now. I know it’s been a pain but thanks so much for porting S&S to Vita. It matters to me. My version is still 1.00 A then crashes alot but i somehow managed to pass some crashes till now… is it supposed to be normal? Pretty safe to say that I will have lost my ability to play this well by the time a patch comes through. Can anyone confirm whether the flickering logo is on the PS4 version? Is it Vita only or is it a design decision? Looks like patch is out now. Fixes that damned flashing. The logo was supposed to pulse a little, not flash like it did. The Tree if Man fight runs at a single digit FPS. Damn near impossible when it pays that slow. My stepbrother had a seizure last night as I was booting up the game and decided to come over and check it out. Haven’t booted it up since but did call Sony and make an incident report. As others have mentioned the game gives trophies very early so sony is unable to issue a refund as it shows it at 55% completion. I truly hope that in the future Ska goes with a different developer for a port. This is the first and last game I purchase with Sickhead on board. Unnacceptable. If anyone else is still struggling with the crashes here’s the solution, it really works!!! Finally i can finish the damn game! Since such brand new type of well inspired-games is quite rare its a shame cuz apart for those crashes the entire game for what it takes is absolutely a blast .blame SickHead Games . @William As an epileptic, that flashing is not appreciated or necessary. It kills me every time. @ConVic it’s bad enough I’m wishing there were a refund system on PSN and I’d just get the PC version instead. Sadly the game gives trophies very early, and before the worst crashing. So no possibility of a refund once you see how bad the crashing gets. If I didn’t know that it works ok on other systems I’d wonder if the early trophy was deliberate. Still feeling a bit ripped off by the Vita release. Wish I had a PS4 so I could at least have a playable version of the game for my money. Game seems good, but crashes are bad enough for me to give up till patched. Also the flashing during first loading is almost migraine inducing. I have to look away till it finishes load. So my game would crash on me in the Alkymancery in the same spots. So I went to the earlier areas and discovered some bosses left unkilled. I defeated them and to my surprise my game wouldn’t crash anymore. This is an absolute gem. It could be a system seller. It is the reason I got my Vita (just as The Dishwasher was my reason for a 360), however, the bugs have caused me to lose progress too many times and I am shelving the game until it is patched. Cannot wait to get back into it. Hi Ska studios. Just downloaded the game for my vita and can’t even pass the start screen((( When I select “New game” the next what I see is “Press /circle/” and nothing else.. Sad but true, what for I paid my money.. I believe the issue may be fixed with patch. Vita version is broken. Almost impossible to play after Hagers. Constant crashes towards east of area, crashes guaranteed upon each death. My issue is the EXACT same as Andoid927. Same exact place too. I get the error C2-12828-1 every time and I’m scared that I’ll have to delete my save my level 71 Paladin with so many upgrades 🙁 I seriously hope that a patch will solve it and I don’t have to start all over. Crashing in Hager’s Cavern, same spot every time. Go left from the sanctuary and jump onto the platforms instead of continuing to the bottom of the cavern. Continue left until you reach some wooden scaffolding with 2 floating ghost-like enemies that shoot lightning at you. If i continue going left from this point, i crash 100% of the time. I have SnS in Steam since release and have bought it for Vita as soon as it became available. IMHO, it is a really great game for handheld and in general. Please, fix the crashes, I’m really waiting for it. Update on the crashes: After the Kraken Wyrm fight, the castle of storms crashes the game. hi, i recently purchased SnS for vita and i have had some of these issues listed but one that i just recently got is a continuous crash just after entering the “Mal’s floating castle” area. about four pillars after the candle. on a more trivial note i’ve noticed most outfits have the cape or cloth not follow the character more tightly. love this game btw and i’m so glad you guys got it to the vita as quick as you did. I love your games! They are amazing! And are planned any new projects on Xbox1 ??? 3 hours in game and haven’t noticed any crashes. Thank you so much for the port! I’m not too far in but I’ve been enjoying it so far. I’ve noticed a relatively small bug that I’ve only seen in Hager’s Cavern (alongside the crashes), where armors like the Doppelsöldner Cuirass have the cape jerk around erratically as you run. I don’t know if this occurs in the other versions of the game, or if it occurs in other crash-heavy areas, as I haven’t gotten to them yet. I’ve been checking the site all the month. Thanks! Game downloading right now on vita! Second character same crashes @Salt alkemency after shrine. No psplus to upload save n redownload, pc save folder swap dont work either. Love game just cant progress past alkemency.. Thank you so much for this port. Any hope for custom button mapping? I’d love to play this on my PST. 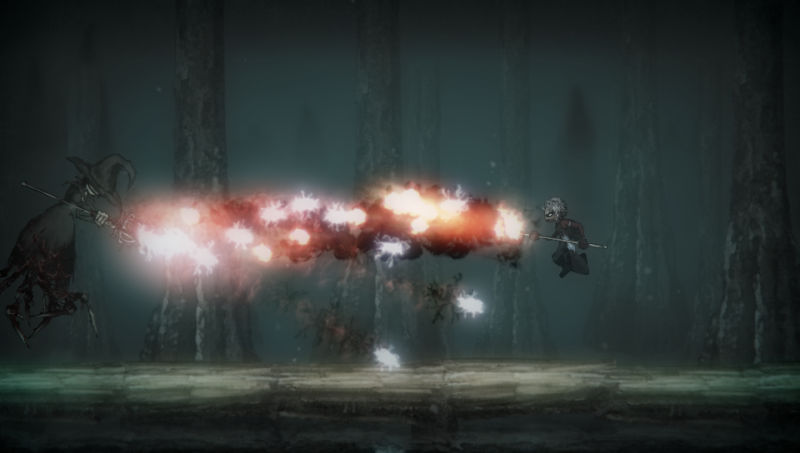 I love Salt and Sanctuary for Ps Vita. Although how can there be co-op now? Can there be an online thing so other people can help without getting an other controler/console aka Ps Vita? Please make it happen I know you can do it because of your other games like Charlie Murder. Hi and thank you so much for the port of Salt&Sanctuary on PSVita ! A pretty solid Darksouls -like in my pocket, it’s a dream become true ! Anyway, good job, really. You are awesome. Thank you very much for not giving up on this version! I love the Vita and this is an awesome game to have on a handheld. The only issue with the port that I’ve noticed and I hope you guys are able to work on is the framerate getting bad in outdoor areas. Can u only play the Vita Version when u have a Ps 4? I only own the Ps Vita and on the German PS Store is now clue about any Ps Vita Version. And every workarounds seems to need a PS 4 to download it first to unluck the VIta Version. Is it me? or has it become easier on the vita than the ps4? I remember dying a lot on the ps4, on the vita defeated 4 bosses with no deaths and still haven’t died yet. Anyways, I’m not experiencing any problems with it, runs smoothly. crashed once after creating a character but no more crashes. I only dislike the blurry text other than this the game is great. My last update for crashes: got through the alkymancery with some speedrun strats that skip almost all of it, killed the bosses, and now I’m crashing repeatedly in crypt of the dead gods. Let me know if there is more info I can provide. Thanks for your reports guys. Sickhead Games is looking into the crashes and other issues. I’m contacting the PSN store about the problems on their side. Can there actually be online so I can get help and please add the ability to invade. Vita crashes at salt alkemistry level after entry crashes everytime. I re installed and didnt work..
Got past Ruined Temple. Now it’s crashing in Salt Alkymancery, at the exact same spot, every time. This is becoming the most unstable game I own on Vita right now. 4 crashes in Ruined Temple. First crash was just after entering. Next 3 were right after the Coveted boss fight. As it stands, it’s game breaking. Cannot continue at all! 5 crashes. Tried again. Something is seriously messed up in Ruined Temple. Are there plans to implement coop play by adhoc? Where is the coop through adhoc? ?Or at least pvp?Sickhead has.a history of good games with multiplayer on Vita,there should be multiplayer on it! !What a shame! !One year of waiting for a game with not all features promised!! Hi. Really been wanting to play this game since NerdCubed played it and hoping that it comes to Vita. Since it has finally come to Vita, will it come to the Asia store? Because I really want to play S&S on my.vita, but if I can’t, I’ll just have to play on Steam. Guys, is there a coop on Vita? Thats really a bummer . Thought the game never comes on Vita so i purchased it last friday cuz of a price drop but was bittered . So im quite surprised you still cares for this port an keep it comes to release concrete AT LAST ;- So thanks A LOT coz this is typically the kind of game made for an handled support to me and i totally see how this GREAT GAME could be enjoyable on the latest Sony portable console … BUT now that i already have the ps4 version- barely played it for tryin- there is no way i buy it a second time so yeah- hope SCEE fix this as soon as possible . Regardless thanks so much for keeping up and made a so great inspired game -its promising for the future of your projects . Thank you so much for delivering this. I bought it yesterday on PS4 because I figured I’d be able to DL it on Vita at midnight. That was dumb of me but regardless I just want you guys to know this is 100% a Vita game for me even though I didn’t buy it on the Vita store. Also Jaoa is right the Vira store is showing the game to be a GB bigger than it actually is. Stuff like this REALLY matters on the Vita due to the sky high memory card prices and I’d hate to see someone pass on the game because they think it’s going take up too much storage. Cheers! Hi, first of all, thank you for keeping the promisse and delivering the Vita version. Secondly, is it possible to fix the file size on the PSStore? It says more than 1GB when it’s less than 170Mb. That can confuse some people, and even be a selling point for those with small space available! Thanks! You’re right, it should only be 167 MB for download size. Letting the store know.